Self-care is such a huge topic of conversation right now. We hear nonstop about how important it is. 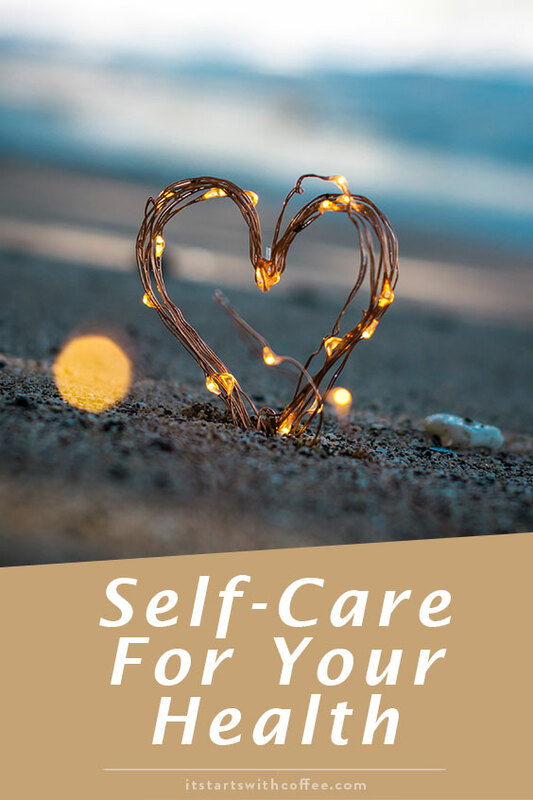 I have done tons of posts about the importance of self-care. But it’s not all face masks and reading. Self-care should really start with your health. I want to share some ideas of self-care for your health that I really try to implement daily. Probiotics: I have a strong family history on both sides of severe life threatening stomach diseases. It’s something I think about nonstop. My dad has actually been hospitalized a few times for this and nearly died from it when I was 15. I myself have had a few stomach related issues that I have seen doctors for. Every single doctor has told me to take a daily probiotic. They tell me nonstop how important it is for your digestive system. 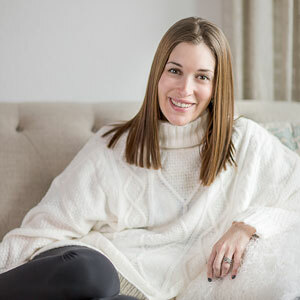 I have talked before about Viactiv and how I used their calcium supplement during and after my pregnancy but now I am using Viactiv Digestive Health which is the tasty and healthy way to get your gut-strengthening bacteria. 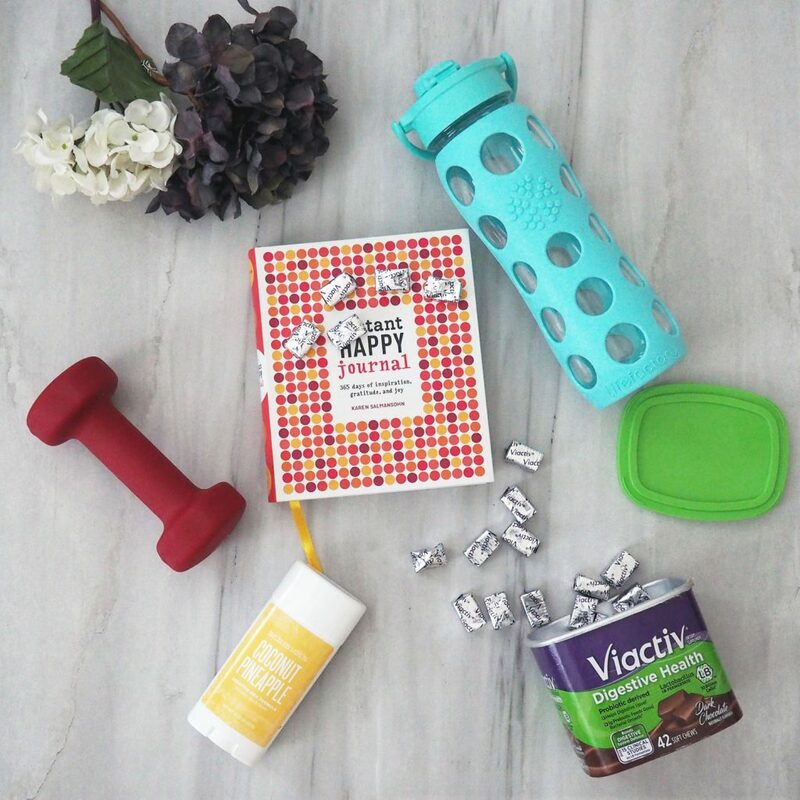 Viactiv is a probiotic-derived, chocolate chew that helps digestive upset* and has 1g Prebiotic fiber, which feeds good bacterial growth. This is so important for you! 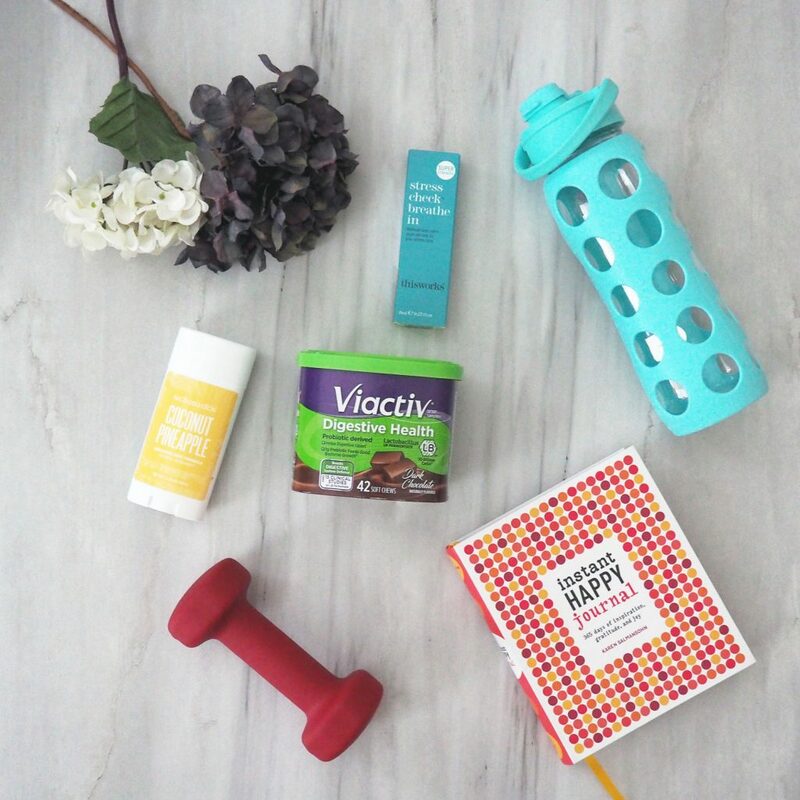 Only Viactiv Digestive Health chews help balance gut bacteria by feeding the good bacteria you already have, and fighting the bad bacteria all in a delicious chocolate chew, so you can feel your best. I have noticed a huge difference personally in my daily life and how good I feel. I don’t have to deal with a lot of the issues I was dealing with prior. Just pop them in your gym bag, purse, backpack, whatever for a tasty way to get prebiotic fiber plus 10 billion cells of hearty, heat-stabilized Lactobacillus bacteria to strengthen your digestive defenses, while indulging your senses. Take one chew up to twice daily. They are so good! It’s almost like having dessert! Schedules: If you are someone who gets stressed easily, which is TERRIBLE for your health and can cause an array of issues (like stomach issues mentioned above), schedules are the way to go. We live by schedules in this house. Our days look the same even if it’s a holiday or weekend so that we don’t get thrown off. I try to work out at the same time, we eat meals at the same time, Liam naps at the same time. This really takes so much stress off and we know exactly what every day will look like. Enough Sleep: Sleep is more important than I think I realized before I had a baby. My amount of sleep affects my mood so much. It also completely dictates how I feel in so many ways. There’s really only so much coffee can do. Check out my sleep routine for tips! Green Veggies: I have to admit I used to hate vegetables. My version of a salad was a little lettuce, carrots, and croutons. Then I discovered my love of green smoothies around 9 years ago and I have been addicted ever since. I also love green juices, and salads now include as many veggies as we have on hand! I even have my one year old loving green veggies! We try to include at least one green veggie in every meal. I cook spinach into Liam’s eggs in the morning and even pack edamame and peas in his school lunch! Green veggies make your entire body feel clean from the inside out! Walks: More so than any other kinds of working out I find walks to be the best form of self-care for me. You are getting outside and getting fresh air and vitamins, you are exercising, and you are doing something for you! There is NO downside to walks! I would love to know from you how important self-care for your health is in your life. Is this something you focus on? I try to eat a healthy diet! I’ve actually done very well just consuming whole foods for a few years ago, but I’ve been falling off the bandwagon lately. 🙁 Need to get back on track and stop snacking on junk food! Yes! I need to find more ways to get green veggies in – I kind of slack on that one. But I do agree that self-care for your health is important. I have just in the last month starting taking a probiotic and can tell you they do make a difference. If we have out health we have everything. This is an area I’m trying to get better in. My cooking habits are pretty healthy as is, but every now and then I’ll opt for fast food. Every now and then has started to happen more regularly because I am traveling to Chicago more to visit my mom with my baby. It’s hard to keep with your healthy routine out of state. I’ve started making sure I do certain minimums each day i. e. taking the baby for a walk and either drinking a green smoothie or eating at least one meal a day loaded with veggies. I’ve also been advised to take probiotics due to some stomach issues. I find they really help! Totally needed this post right now. My life is jam packed with stress, and I am going to physical therapy to deal with trauma from a car accident. I can relate to the stomach issues too. I was taking a probiotic and need to return to that regimen. I may try the Viactiv you recommended. Thanks so much for a timely article on self care. I always feel like taking care of my health is one of the biggest ways I show myself love and care. Aside from being healthier physically, it also helps me be healthier MENTALLY as so much of our overall is related back to our gut! Getting enough sleep has been an issue for me. I started taking a sleep aid (melatonin) and it has made a huge difference on the quality of my sleep. I have heard great things about a daily probiotic but I haven’t tried one yet. My friend swears by them though. I need to be better at ALL of these. Thanks for all of this encouragement. I’ve been taking probiotics and they make such a difference. I alternate between the PCOS Diva and Young Living brands. My self-care includes listening to my body. I eat low carb and practice intermittent fasting, and when I break that routine I feel terrible. I know then, that if I eat that doughnut or cookie in the office, that I’ll be paying for it later with my blood sugar (I’m a type 1 diabetic, so I’d be chasing a high number for hours after anything sugary, regardless of how much insulin I give for it in advance). I also feel better when I get a walk in, or spend time just reading for myself instead of running around like a crazy woman trying to check everything off my to-do list.